Indoor aquaponics is an efficient, low-cost system that provides you with some of the biggest and healthiest produce out there, along with your own fresh, non-GMO fish. It's a dream system for preppers or anyone looking for a far less, labor-intensive way to grow their own self-reliant food. Best of all, you can build your aquaponics system yourself at a low cost. It's a system that combines garden containers with a nearby fish tank. The dirty fish water is pumped out of the tank on a regular basis and runs through the soil, providing your plants with some of the most powerful and natural plant food out there. As the water runs through the soil and other medium, it is filtered and returns to the fish tank clean. A hydroponics system doesn't make use of soil, but instead uses some other growing medium is to hold the plants in place but leave the roots exposed. An ebb and flow system keeps the roots continually moist. But soil does more than hold a plant in place. It provides crucial nutrients to help your plants grow. Unfortunately the hydroponics system doesn't provide this; you will need to add plant food on a regular basis if you hope to have any success. In addition, the water isn't kept clean in a hydroponics system. Eventually it becomes contaminated and must be removed from the system. If dumped in an urban sewer system, it could possibly contaminate nearby streams and rivers. An aquaponics system, on the other hand, continually supplies your plants with the nutrients it needs, while also regularly cleaning the water, providing you with a system that needs far less maintenance. If you plan on growing enough to feed a family of four, you will need some space. Not a lot of space, mind you, but you will need more room than simply a closet. At least 25 square feet of growing space is needed for every member of your family, so a family of four would need at least 100 square feet of space, or a 10-foot by 10-foot sized room. Granted, you won't need much, but you will need enough electricity to run a pump and grow lights, if there is no nearby window. By placing your system near a window or even in a greenhouse, you won't need as much power to run the lights, but you will still need enough to run the pump. So if you do plan on having your indoor aquaponics in a garage or outdoor shed, either make sure an electrical outlet is nearby or use a solar-powered generator. Some maintenance is required with an indoor aquaponics system, but not much. You will need to check your system daily to make sure the pump is working properly, and you'll need to feed your fish. You will also need to harvest the food. With the exception of root vegetables or corn, you can grow almost anything in these systems, including all kinds of leafy greens, cucumbers, pepper tomatoes, beans, peas and virtually any kind of squash. Blueberries and strawberries also do well in an aquaponics system. 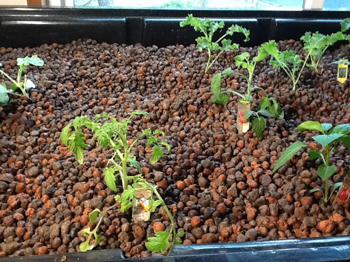 And because of the abundance of nutrients available, plants grow twice as fast in an aquaponics system. The produce is far more nutritious than even organic produce. 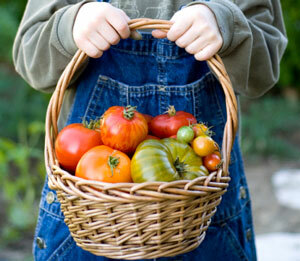 Plus, because you aren't dependent on the weather, you can grow food year round. And don't forget the fish. True, you could grow goldfish in your system, but you can also grow fish you can harvest for food. A tilapia, which grows from a fingerling to full size in a year, is a great choice. Other types of fish, such as perch or catfish will take longer to grow. A three-day rain will turn my swimming pool green, and steady rain can also wreak havoc with an aquaponics system. Excess rain will mess up the Ph balance in your system in no time, so your system needs to be indoors - even if that means an outdoor shed or a lean-to. You can purchase an aquaponics system online, but they are expensive and way too small to produce the amount of food you will likely want. 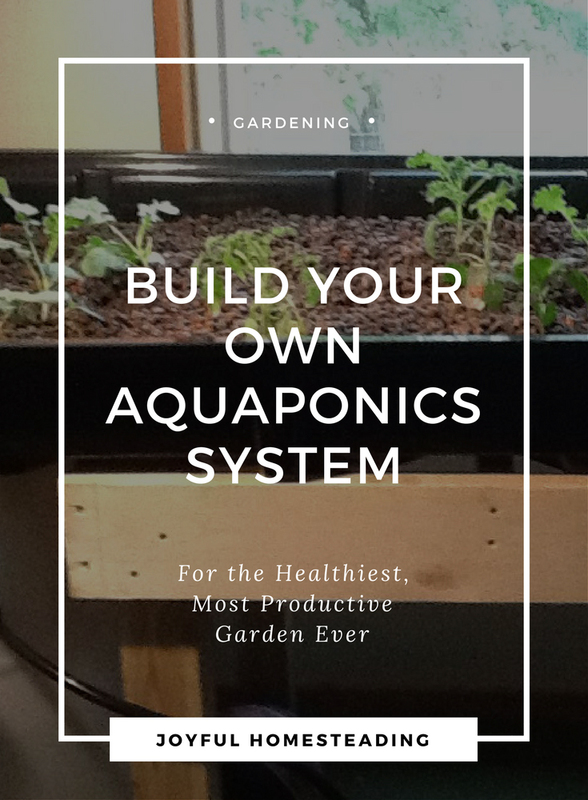 Instead, you are better off building your own aquaponics system. Or you could build you own indoor aquaponics system. Aquaponics 4 Idiots provides you with video instruction and an ebook with everything you need to make your own aquaponics system, including diagrams, explanations and instructions. Sam Adams, a certified organic farmer and an aquaponics expert, created a video course that will show you step by step how to build your own aquaponics system. Aquaponics 4 Idiots has step-by-step instructions, secrets and common mistakes to help you avoid pitfalls and succeed. With your own aquaponics system, you can grow up to the times the plants, grow healthy, great-tasting produce faster and avoid weeding or messing around with soil fertilizers. You can learn more here.